Home / Android / Forgotten Your Password? Here Is How To Unlock Android Phones. Unless you are new to the world of smartphones, you would have the face the nightmare of forgetting your password. 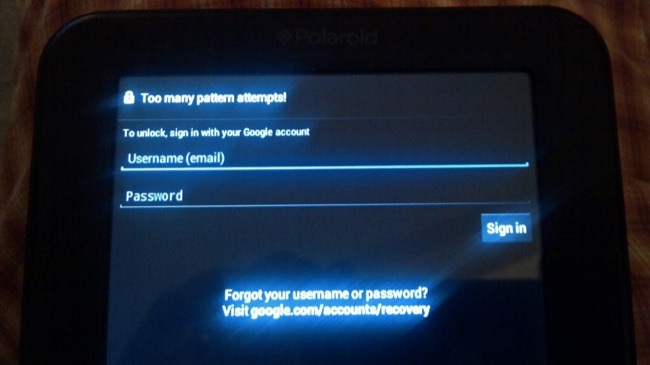 There are several reasons why one could forget password, pin or pattern and can’t get into your Android smartphone. Most likely due to confusion. But the good news is, to unlock android phones is something really simple and doesn’t take much time. You need not to panic whenever you find yourself in such a situation as there are several methods and ways you can use to bypass the problem and get your phone working again. Let us quickly run through these methods to gain access to your Android device after you have forgotten the password. 1) The Android Smart Lock Feature. Starting with the Android 5.0. Google has removed the ubiquitous “forgot pattern”. It means the inbuilt way to simply reset your pattern, PIN or password is out of the window. But with this feature, you have an additional protective layer for your data. The Smart Lock requires you to set up the feature on your Android phone and you can automatically log in through your home Wi-Fi or trusted places, devices, On-body detection or Voice Match. All you need to whenever you forget your password is simply to connect your device to your home Wi-Fi or your selected option to unlock your android phone. Note that, you have to set up the smart lock feature on your Android phones prior to this unless it’s not going to work. To set up the smart lock feature on your device. Click on the settings icon of your device, under the settings scroll until you see the “security and location option”. Click on it and from the options available you will see the “smart lock” feature there. Tap on it and follow the instructions on the screen. Users with the older versions of Android, the Android 4.4 KitKat or lower won’t be able to unlock their phones with the option above. However, the solution for those in that category is to use the integrated Forgot Pattern or Forgot Password option. Using this method is pretty straightforward, all you need to do whenever you forget your password is to enter a random password or pin five times and after that, it will take you to a screen like the one below. Now tap the “Forgot Pattern?” button. It will give you the option to enter your Google account details. Google will then send you a new code to unlock your Android device. This method requires you have access to the internet. 3) “Find My Mobile” Service For Samsung Devices. Find My iPhone for example. But much like the Smart Lock Feature, you will need to set up your Samsung account prior to this to stand any chance of using this method to unlock your phone. Primarily, the main idea of the feature is to protect your data on a lost mobile. You will find the “Lock my screen” button on the left-hand side, from there you can enter a new pin into space at the top and click the lock button. After a while, you can use your new pin or password to access your phone. We strongly advise that as this is the last method on our list, it should also be your last option if the above methods don’t work for you. The reason is that using this method will wipe all your data from your device. It is a tough but effective method. That is why is highly recommend you make a backup to your files frequently. The methods of factory reset vary from phone to phone, so it is advisable to check for your model first before using this method. But the more general method used for factory reset is outlined below. 1) First, power off your device. You will then need to hold down the volume down and the power buttons simultaneously. This will fastboot your device where you will enter the recovery mode. 2) Once in the recovery mode, you navigate only with the volume down button. Navigate to and click the “wipe data/factory reset”. This will wipe all the settings and data on the device. When you are done, reboot your device and the password will be removed. Previous You Can Now Control Your iPhone With Your Eyes. Next Xiaomi “Biggest Party Yet” To Hold On December 8.